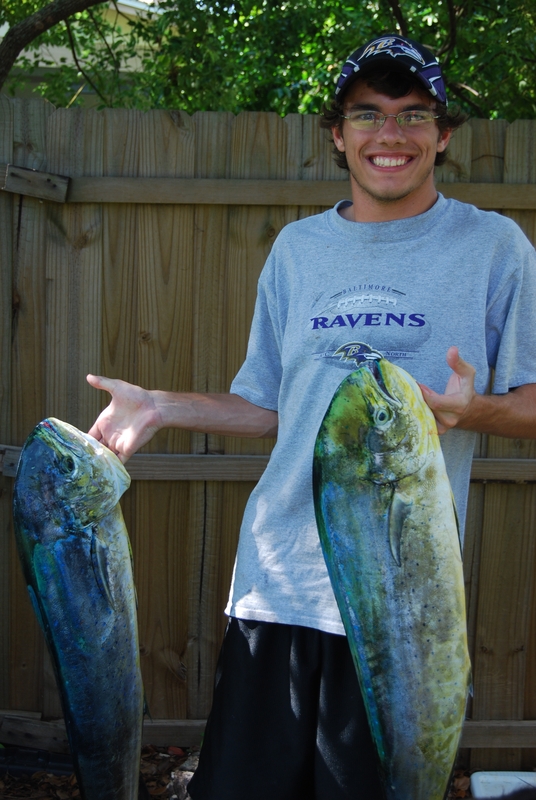 Loving our boat – and my husband and son – they caught a black fin tuna and 3 mahi-mahi on Saturday! That translated to pan-seared Ahi on Saturday night, and baked mahi-mahi for lunch on Sunday, dinner on Sunday and dinner Tuesday – so far. Yum! 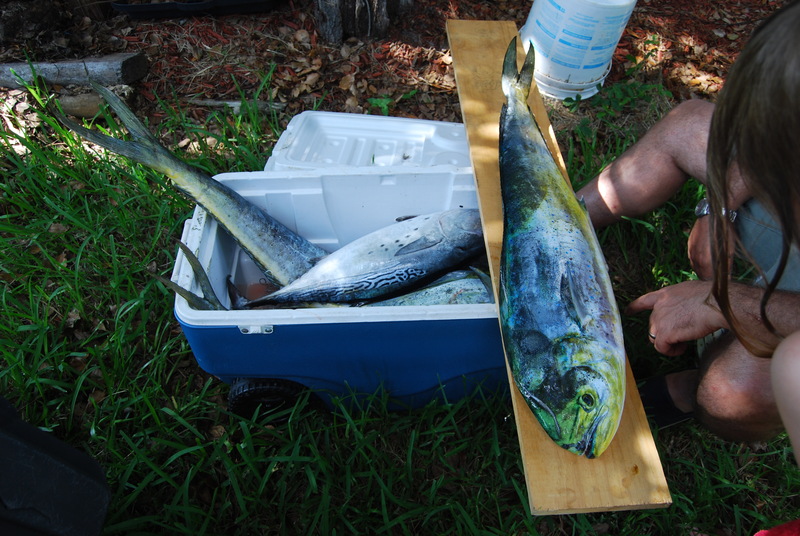 More mahi in the freezer – and we’re hoping to go fishing again this weekend! Thank you God for boats, good (and safe) fishing and cajun spices. And thank you that this city girl doesn’t have to personally fillet these fish. ewww. Do you fish on the Gulf or the Atlantic coast? I’m amazed that city girl knows how to cook those fish!